London police arrested seven people following Sunday’s wild North London Derby, which Arsenal won with a 4-2 beatdown on Tottenham. 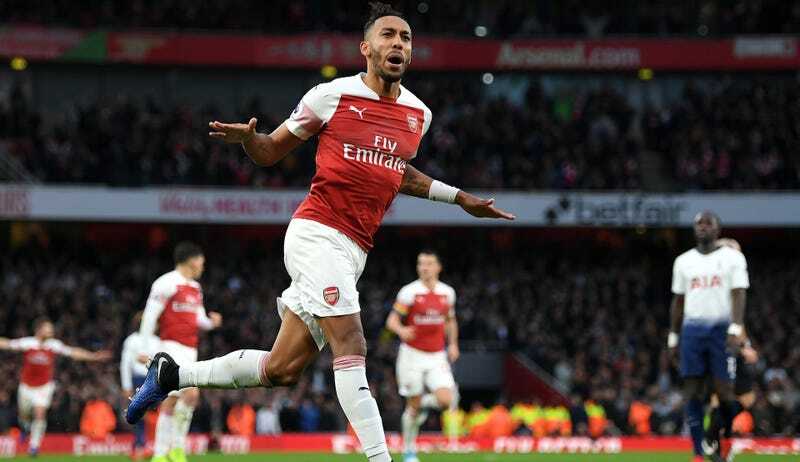 One of the seven was a Tottenham fan who threw a banana on the field at Gabonese forward Pierre-Emerick Aubameyang after Aubameyang scored a penalty in the tenth minute. A Tottenham spokesman told the BBC that the fan would be banned from the team’s stadium for an undisclosed period of time, while anti-racism organization Kick It Out called for a lifetime ban. Arsène Wenger On Unemployed Life: "I Can Sit For Hours Contemplating The Horizon"